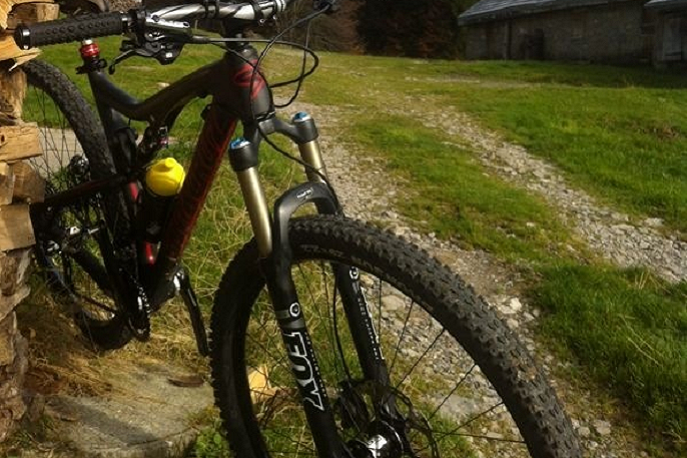 Unforgettable bike tour in Glarus area. Accompanied by good weather, this mountain bike tour will lead you from Glarus, away from all the traffic, and onto the scenic, Linthweg path into the Glarnerland. 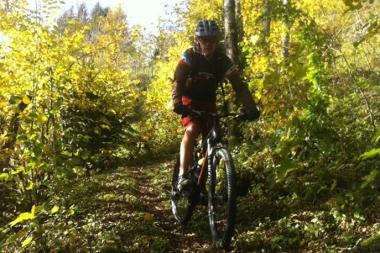 Once in Linthal, you will take the Braunwaldbahn (funicular railway) and travel from an altitude of 665 m above sea level up to 1,256 m.
Now we will continue by bike on a gravel road to Nussbühl. After a delicious lunch in the Restaurant Nussbühl and Gugelhopf mit Nidel (regional cake speciality with cream), you will be fortified to attempt the uphill part of the trip! After the steep ascent (you will push the bikes for about 10 mins. ), you will ride along to the Klausenpassstrasse (mountain pass road) and will then whizz down this to Linthal and back to Glarus. 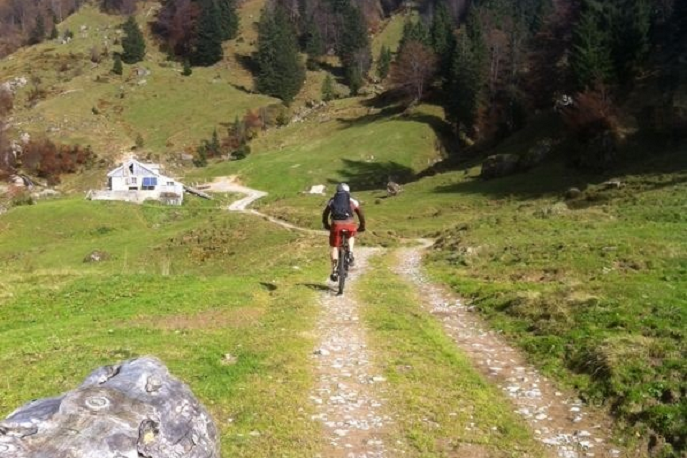 This diverse mountain bike tour includes everything you would expect of a varied bike tour and can be individually adapted and/or shortened to suit your requirements. Guided bike tour through the Glarnerland, bike hire, mountain railway ticket, supervision by qualified eventerlebnis guides. Enjoy this beautiful, slightly forgotten, Swiss canton. We can also arrange accommodation for you and then you can go on a walk here or book one of the many other eventerlebnis activities the next day. Sporty clothing suitable for cycling, helmet (obligatory) can also be hired.